When purchasing tyres, it is very important to do some research about the tyres. Safety is by far the number one concern when buying car tyres. After putting Starfire Tires and 5 other brands to the test the results from the tests clearly show how Starfire tyres compare. 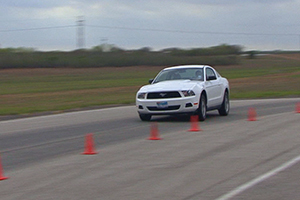 Testing results demonstrated how all tyres performed in a number of different scenarios. 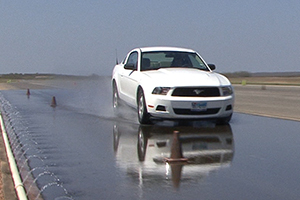 See the results from the testing and how Starfire Tires preformed against the other brands. 1. All tyres are engineered as well as tested in America ensuring the tyres meet the stringent American standards. 2. All Starfire Tires come with a Lifetime Replacement Warranty*. 3. Most sizes are upgraded to a higher speed rating for more confidence while driving and a greater margin of safety at high speeds. 4. A tyre that gives you high performance, without sacrificing tyre life and made with the construction and looks to compete against other premium brands, without the premium price. 5. Higher load ratings mean that in many PLUS size fitments you will not compromise your legal requirement or safety by having a load rating less than your vehicle requirements. This is a peace of mind warranty that covers the original purchaser of Starfire Tires from any manufacturing defaults in workmanship or materials. If the tyre is unserviceable due to these conditions you will have your tyre replaced at no charge to you. Now you have a tyre that is not only tested thoroughly for performance and safety but also backed up with a Nationwide Lifetime Replacement Warranty. Read more about the Starfire Tires Lifetime Raplacement Warranty.